The official companion app of Star Wars Battlefront has just been released by Electronic Arts, ahead of the much-awaited action shooter game’s launch later this month. 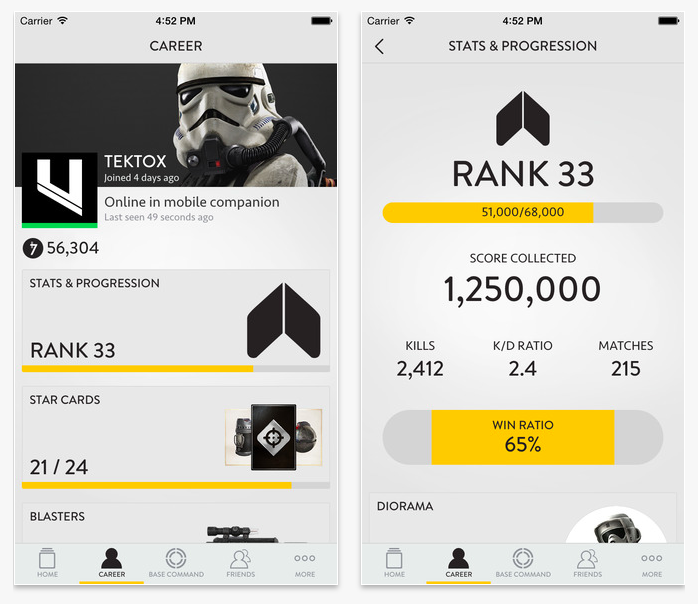 Star Wars Battlefront Companion, as the app is aptly called, predictably features functionality that allows users to check their career performance and social connectivity in the main game on the go. 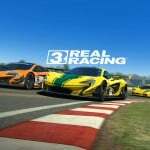 This notably includes the ability to view your own stats and progression as well as those by your friends, and to get notified in real time when your friends start playing the game. There’s also support for notifications about important news and updates in the Star Wars Battlefront galaxy. 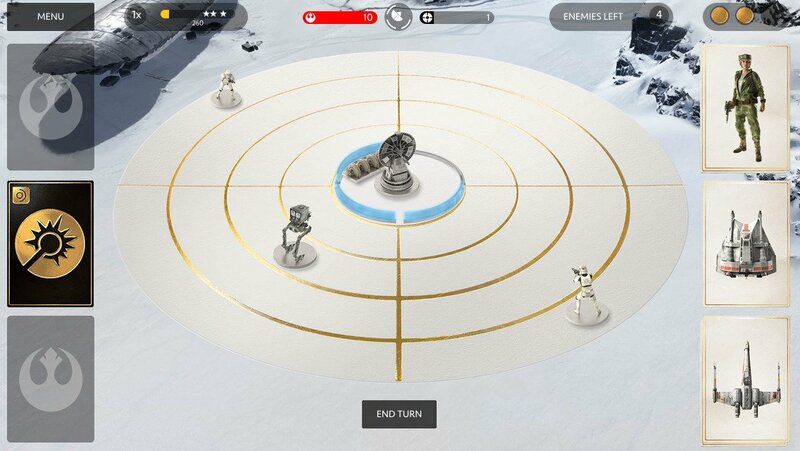 But the Force is perhaps strongest with the one feature of Star Wars Battlefront Companion that allows you to play a card-based strategy game right within the app. 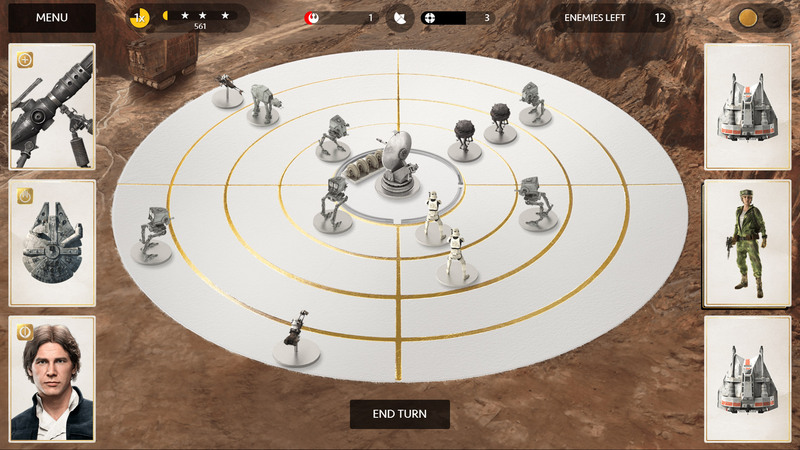 The mini game, as it were, is called Base Command, and it challenges you to take on an AI opponent in turn-based missions or “sieges,” where your goal is to protect a Rebel base against Imperial attacks using a customizable deck of Star Cards based on various elements in Star Wars Battlefront. In turn, Base Command rewards you with in-game credits for surviving sieges. You can then use your accumulated credits to unlock Star Cards, weapons, and more in Star Wars Battlefront. Evidently, Base Command ties in quite strongly with Star Wars Battlefront, especially since any Star Cards unlocked in the main game are automatically made available in the mini game. It’s worth noting, though, that you don’t need to have Star Wars Battlefront in order to play Base Command in Star Wars Battlefront Companion. Compatible with iPhone, iPod touch, and iPad running iOS 7.0 or later, Star Wars Battlefront Companion is available now on the App Store for free. 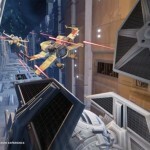 Star Wars Battlefront comes just over a month before the release of “Star Wars: The Force Awakens,” the seventh installment in the main “Star Wars” film series. The highly anticipated movie is scheduled to hit theaters on Dec. 18.